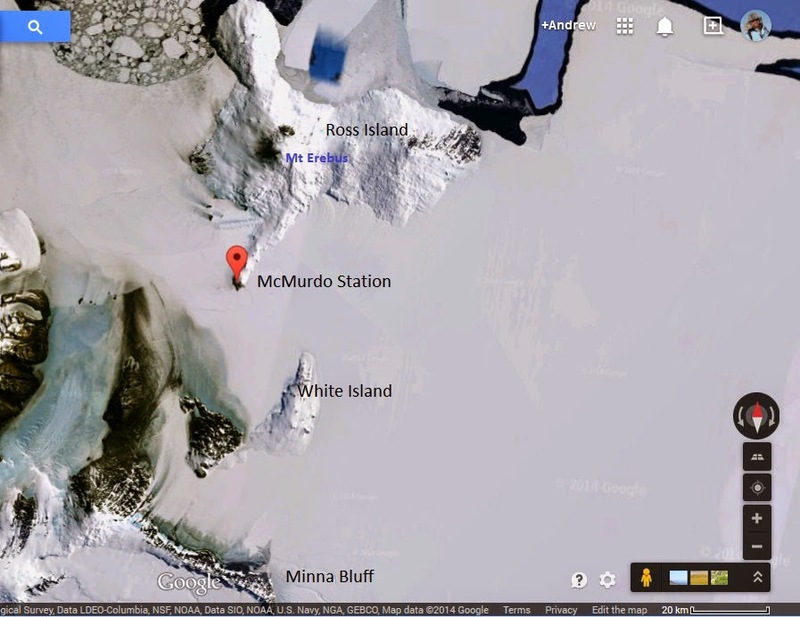 Within a radius of about 160km (100miles) of McMurdo Station a large amount of transportation and logistics can be performed by helicopter. There are two types of helicopters used at McMurdo - a Bell 212 (which some might know as a "huey") and an A-Star. The 212 can take up to 9 people and some equipment, while the A-Star is smaller and can fit 5. A twin engined Bell 212 helicopter, on base at McMurdo. The helicopter operational center (Heli-Ops) is a busy place with the staff trying to accommodate all the different projects needing flight time. The instrument/control panel in an A-Star. There is a GPS, fuel gauge, horizon meter, air speedometer, VHF radio control, power panel etc. The AWS on White Island needed its radio antenna replaced and the AWS on Minna Bluff had suffered some damage, so it required servicing. The White Island AWS was heavily coated in soft rime crystals. When moisture condenses in the air (for example fog or mist) and the temperature is below freezing with a very light wind, the moisture can freeze to objects. Rime builds up in the direction from which the moist wind is/was coming i.e. the windward side. The propeller on the anemometer has been coated in rime as it always faces into the wind. However, we can see rime on the cable (which doesn't spin around like the anemometer), so we know which direction the moist wind came from. Minna Bluff is renowned as an extremely windy site. Indeed, the wind had destroyed some of the instruments on the AWS - it literally blew them off the tower. The wind can also be strong enough to lift rocks into the air, which can then hit the instruments. 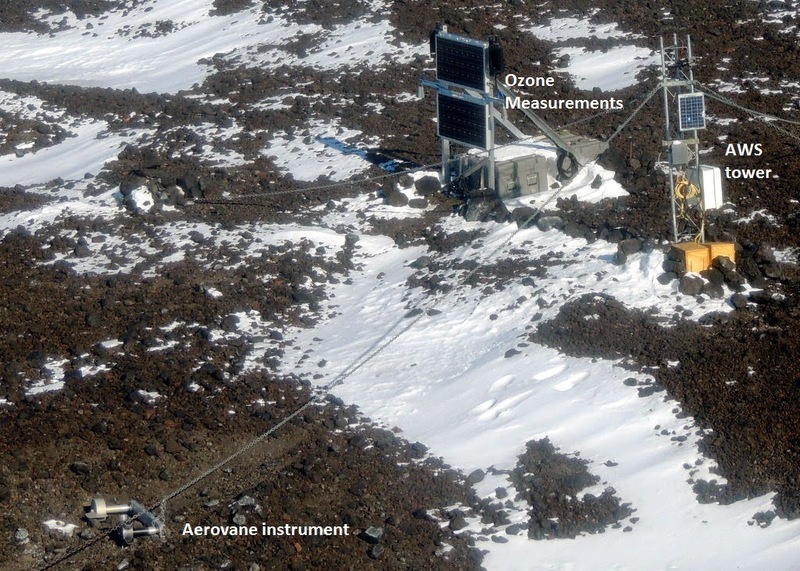 The AWS tower on Minna Bluff is collocated with instruments that measure ozone (a trace gas in the atmosphere).